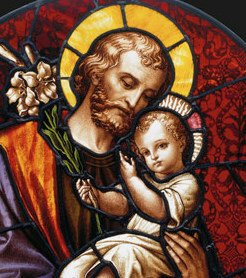 Jesus, Lover of chastity, Mary, Mother most pure, and Saint Joseph, chaste guardian of the Virgin, to you I come at this hour, begging you to plead with God for me. I earnestly wish to be pure in thought, word and deed in imitation of your own holy purity. Obtain for me, then, a deep sense of modesty which will be reflected in my external conduct. Protect my eyes, the windows of my soul, from anything that might dim the luster of a heart that must mirror only Christlike purity. And when the “Bread of Angels becomes the Bread of me” in my heart at Holy Communion, seal it forever against the suggestions of sinful pleasures.